Hello, lovelies~ If you're new to my blog, let me introduce myself to you as a "Makeup Base Junkie". I can't stop being curious to new base makeup out there in the market. 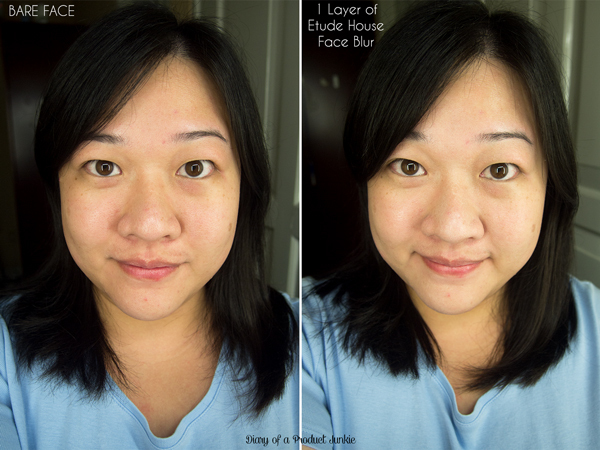 Having that said, I bought a new base from Etude House called Face Blur and want to share my experience with you. As with most Etude House products, they always come in a sweet and girly packaging. If it's not the design, it's their color theme, which is light pink in this case. 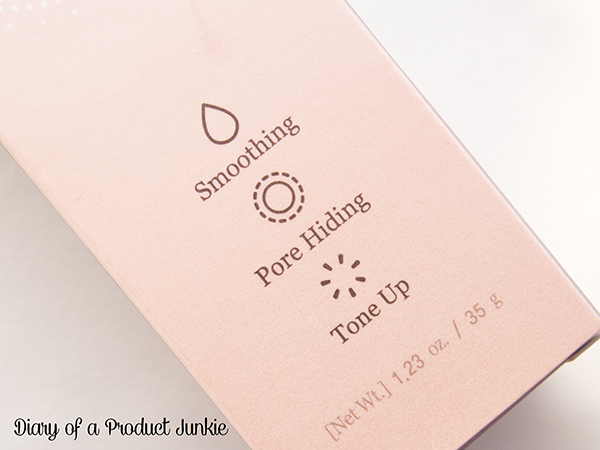 The light pink box is printed with an illustration of a camera along with its claims of smoothing, pore hiding and tone up (whatever that originally means in Korea before it got translated to English). Armed with sunscreen of the chemical kind, this base makeup doesn't replace your sunscreen, of course. 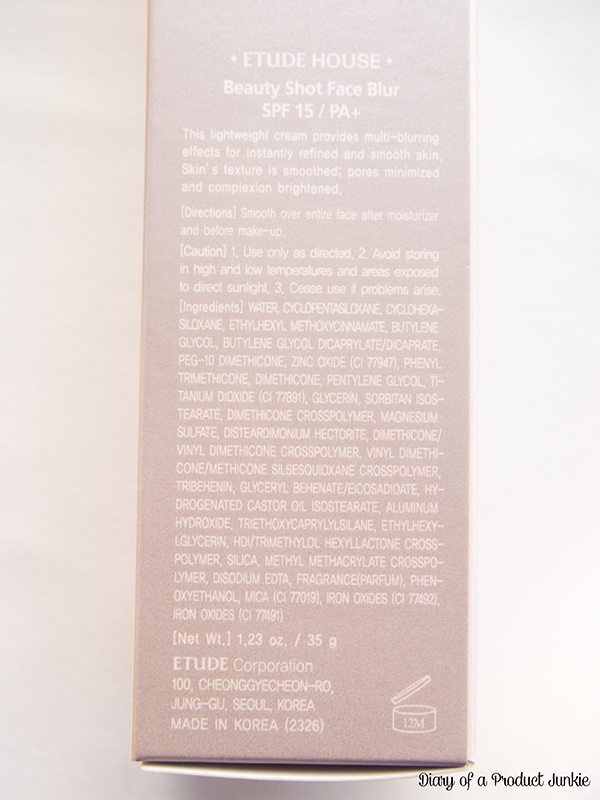 It is free from mineral oil, petroleum, and alcohol, so it's a green light for my skin. Fragrance is still present, so I have to use it carefully since I do have sensitive skin. 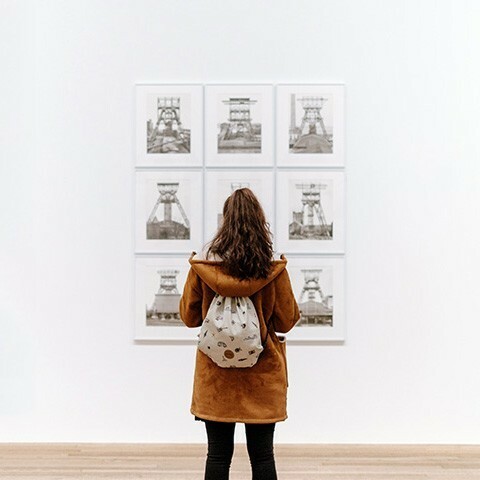 There is no parabens as far as the eye can see, but there are other preservatives such as phenoxyethanol being one of the few. Inside the light pink box is a bottle with the same color as the box that is equipped with a pump of another shade of pink. I know it's simplistic in nature, but I like how the bottle sits nicely on my vanity corner. 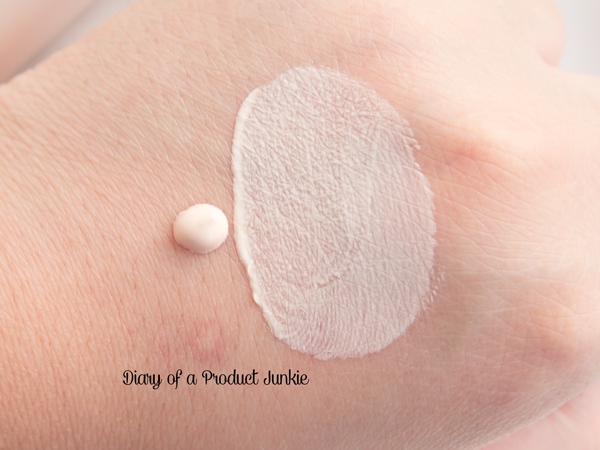 The consistency of the light pink cream is similar to a lotion. It spreads easily on the skin and sinks in quite rapidly. There is only one shade, so I'm not sure if a someone with a deep skin tone would be able to use this. Compared to previous Etude House bases that I have used in the past, this one is not half as thick as they are. 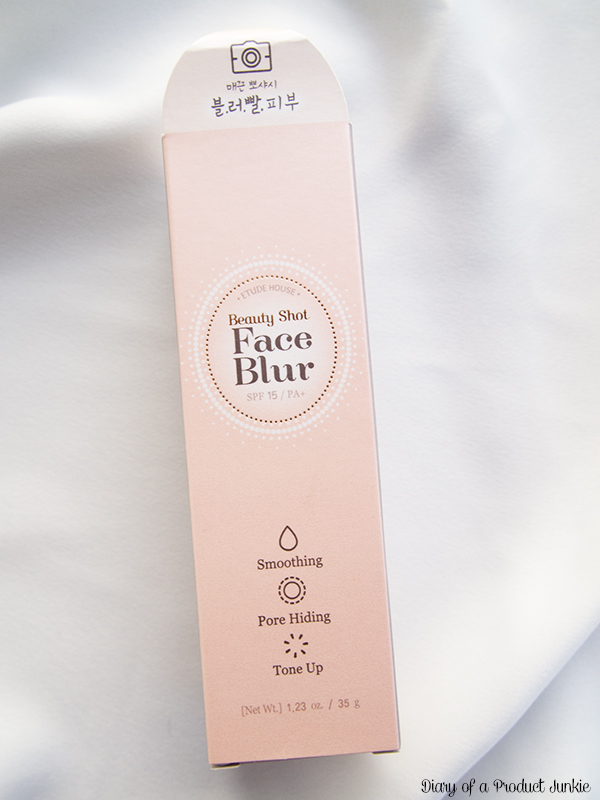 It blends effortlessly into my skin and doesn't leave an overly white cast on my face. Here is how it looks like on half of my face. 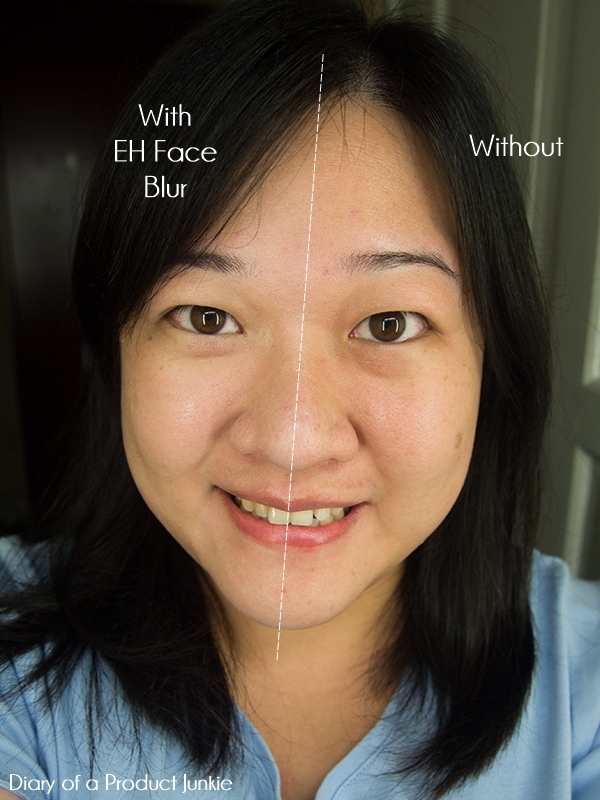 The redness on my face is slightly concealed, giving an appearance of even skin tone. It has a satin finish that gives a hint of glow, but not overwhelming. My pores is ever-so-slightly concealed since they were huge to begin with. My face does look brighter, but not that ghastly-white bright. Surprisingly, I like wearing this after my sunscreen for everyday use before going out. All I add is lipstick and I'm all set. It has an average oil control on its own, ranging in between 3-4 hours, if it's in a cool and air conditioned environment. If it hotter and I have more activity, the oil control would reduce in half the previous amount. Underneath foundation, it didn't really contribute to the longevity of the foundation. If you have dry skin that flakes, I suggest you exfoliate before using this base. 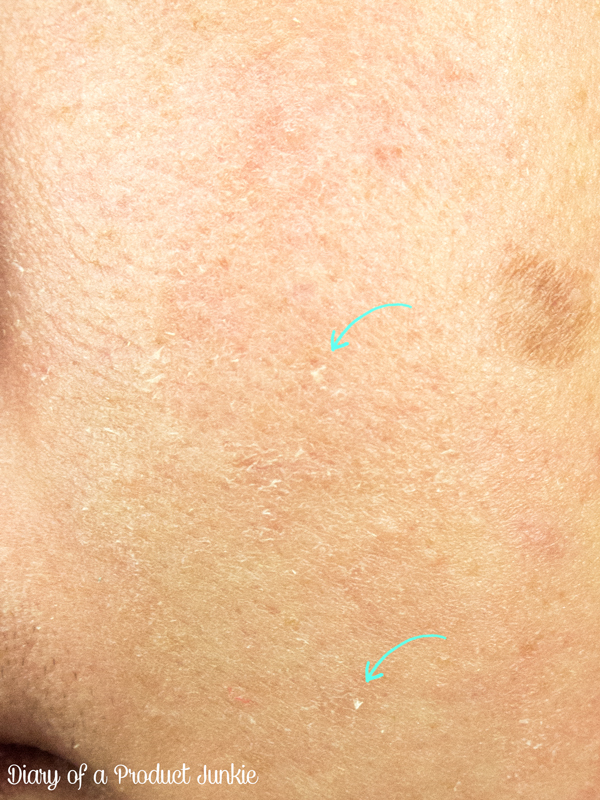 On my combination skin, it kinda clings to the dry bits of my skin and accentuating it slightly as seen on the picture above. 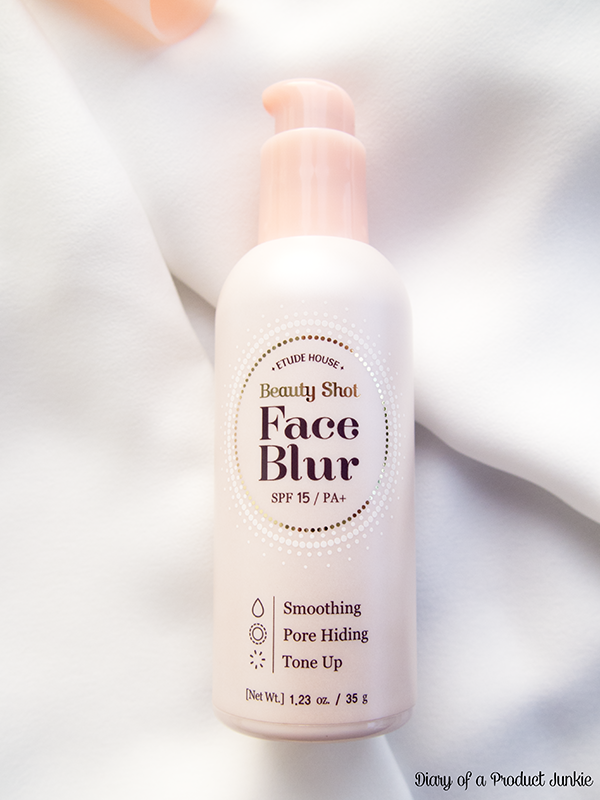 I don't know if it's just me, so let me know in the comments if you have dry skin and using this base. Overall, I was taken aback at how I like this base up to a point that I'm currently using it every single day on its own. I didn't have a good history with Etude House bases, so I had under estimated this one as well. However, the lightweight feel and not overly white appearance is what made love this base even more. Does it look good on camera? Yes and no. If you're using a camera phone, yes. I don't think you would need to edit your pictures unless you want skinny cheeks. However, if you're using a DSLR with a high aperture, then no because it would accentuate even the tiniest details. You can use a DSLR and reduce the aperture to make it look 'smoother'.